Create a slip-resistance surface or towel yourself off after a hot yoga practice session with the Manduka® eQua® Yoga Mat Towel. Fits most standard-sized yoga mats. Tightly woven fabric creates a soft, comforting texture. 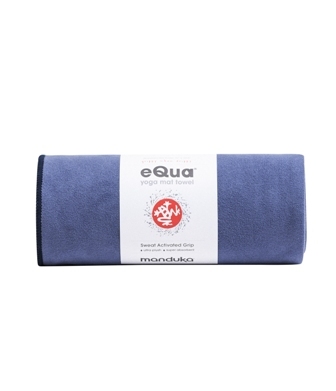 Lightweight microfiber is optimized for absorption and evaporation. Fabric remains slip-resistance when moist.